You probably know someone. Maybe more than one someone, who is all too-consumed with what turns up on their Social Media feeds. I caught myself almost slipping into that trap. Thankfully I managed to find a place far and away from losing myself to it. Social Media has proven overall to be a positive tool for maintaining and establishing connections. For business, Social Media is keeping clients informed, and just keeping them around through engagement. I believe firmly that Social Media has also proven to be the downfall for many individuals and business. There are individuals who live and breathe every second of their lives by their Facebook news content. Businesses who have less active or inactive Social Media accounts will raise questions about credibility and commitment to service. No engagement means no advertisement, and no revenue. At what point should an individual file for Social Media Bankruptcy? People who start to constantly worry about missing birthdays for everyone on their Facebook list. People whose workdays are easily interrupted by their addictive need to check the feed. At what point should a business file for Social Media Bankruptcy? When engagement with readers & customers has slowed down or stopped completely. When management of those accounts has become difficult. Note – At this point a business needs to consider hiring someone to manage these accounts. Social Media Teams exist in many major businesses. Some of these accounts (many airlines for example) are monitored 24 hours all year round. Then it is time to wipe the slate clean. Take a step back. Look at everything closer to you than the computer screen. Refresh. Artists and others who might run their business activities as a sole proprietorship need to keep readers and clients engaged as well. But taking that break is certainly just as important. Businesses should take note of this as well. If you are maintaining a very active feed for yourself as an artist, writer, small business or whatever it may be, let people know you are going to be away. It is fine to take the break without filing for all-out Social Media Bankruptcy. Writers take note. Social Media can become an easy distraction especially for those in our business. I am guilty of it, and many of you reading this are probably guilty of it as well. You are free to take the next 2 minutes to go to your Facebook & Twitter accounts and check what it is there. Just come back and read on further when you are done…. I suppose we could argue that if you are turning that distracting use around for a research purpose then you can easily forgive yourself. Good ideas can come from anywhere and that can include a Social Media news feed. To conclude, I would also suggest that everyone look at what they are using for Social Media and determine if they need to use every single option available. 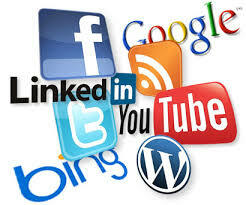 I have told businesses and a few colleagues that at the very least they should have Facebook and Twitter. In my opinion these remain the two best programs for engaging readers and maintaining personal and business connections. If you know someone who might be over-using, or a business that is under-utilizing Social Media, hopefully something I have written here can offer them a refreshing perspective. Credit must be given where credit is due. The idea of Social Media Bankruptcy was directly inspired by an episode of IFC’s “Portlandia”. Brilliantly funny. I humbly thank them all for it. Posted in Notes from the Frogpond.Tagged artist, Bankruptcy, break, Business, clients, engage, Facebook, IFC, ok, Portlandia, refresh, research, small business, Social Media, Social Media Bankruptcy, Twitter, writer.